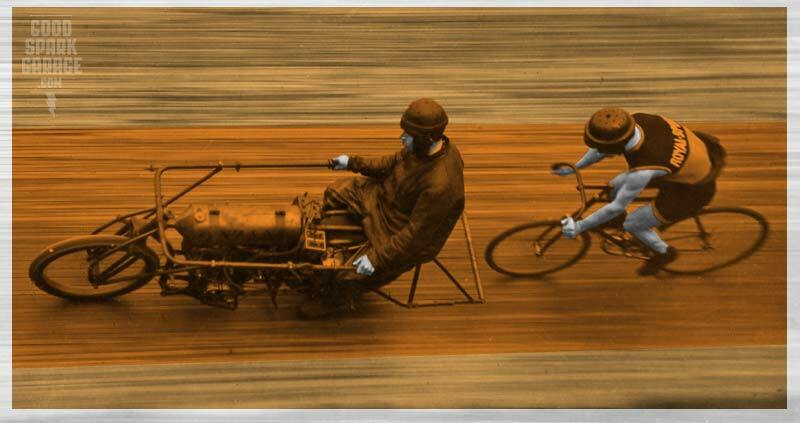 You know those odd-looking motorcycles you’ve seen leading old-timey bicyclists around wooden velodromes? 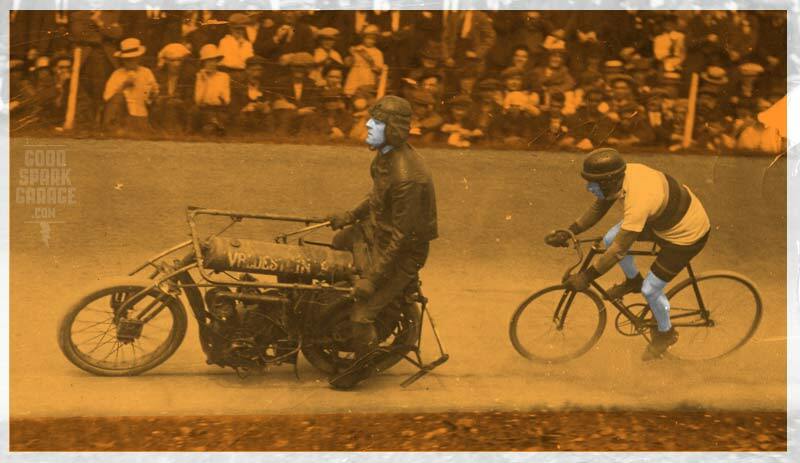 They look like steampunk contraptions, complete with dapper leather-clad riders. 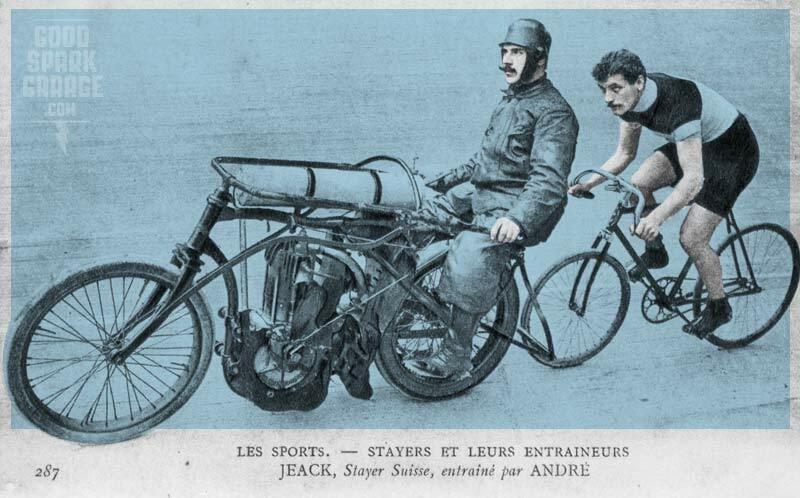 They were called pacing bikes, or stayer machines, used for motor-paced cycling. 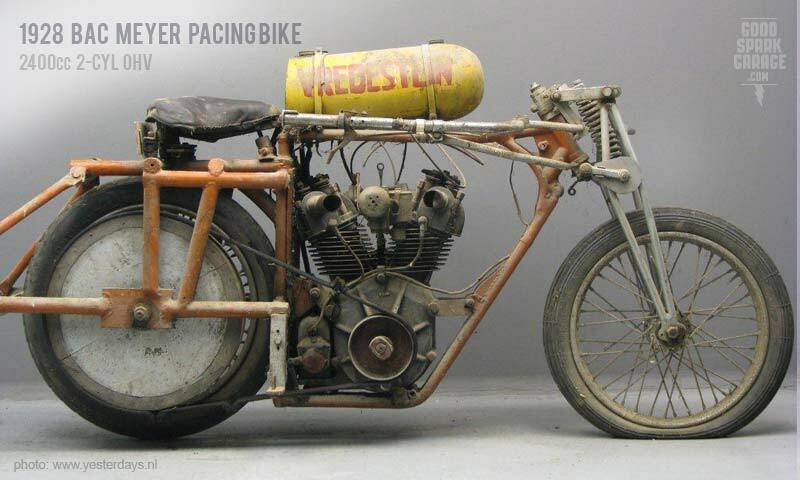 From what we gather, the motorcyclist is the pacer and the bicyclist is the stayer. They’re not meant to touch, though a rolling bar extended from the rear of the motorcycle would stiff-arm a cyclist if he got too close. The pacer creates a slipstream that the stayer can ride within, allowing speeds not achievable by a solitary bicyclist. 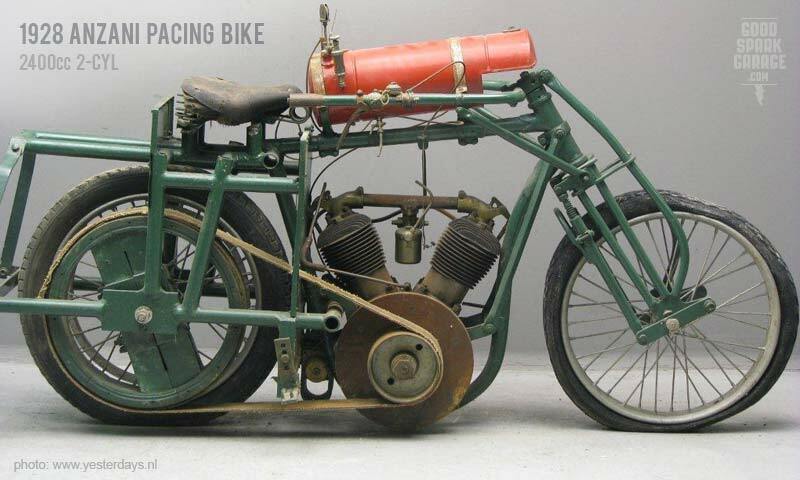 In 1903, an American cyclist died after his rear tire exploded at nearly 62mph, causing him to fall in front of another pacing bike. 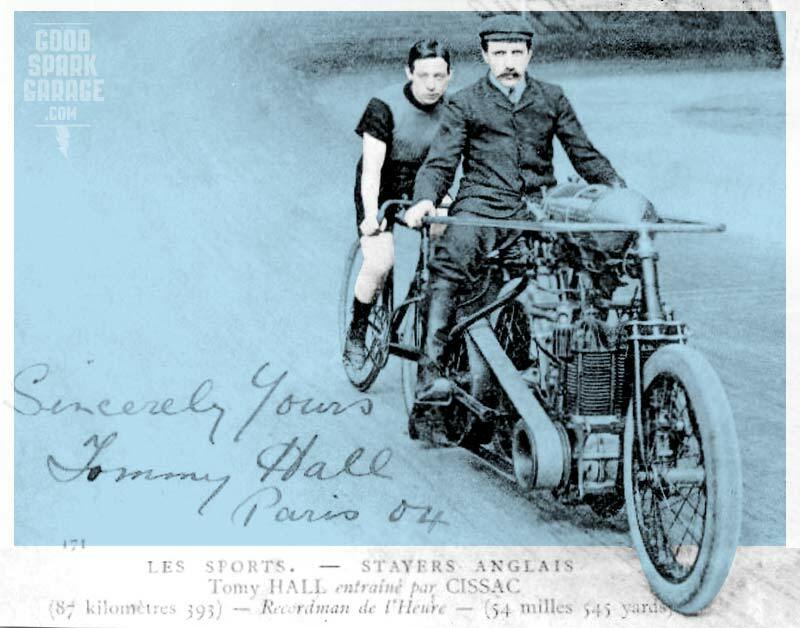 The New York Times reported that the motorcycle “crushed the prostrate man in a dreadful manner.” A 1909 crash in Germany resulted in 9 deaths when a pacing machine landed in the stands. 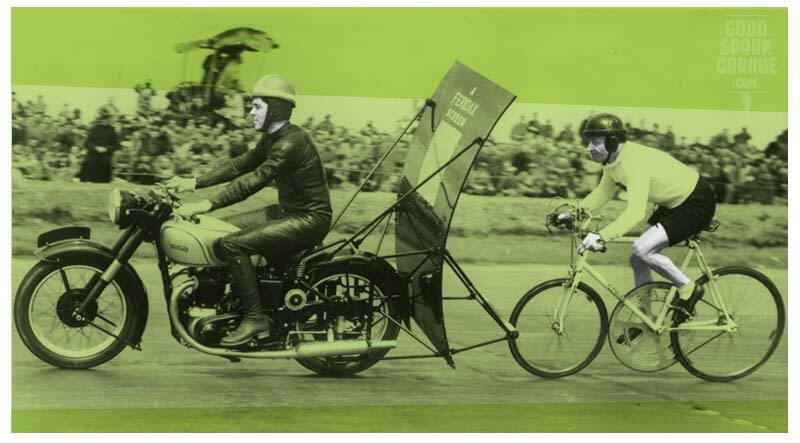 We wondered why the heck the handlebars were so long and why the riders sat so far back on the bike. Basically, these guys were trying to get big. Standing tall, as upright as possible, provided a big windbreak for the cyclist to tuck in behind. According to historian, Peter Nye, American cyclist Bobby Walthour (above) collected an impressive inventory of injuries over his career: 28 fractures of the right collarbone, 18 of the left, 32 broken ribs, and 60 stitches to his face and head. Not limited to board tracks, motor-paced racing would also employ cinder tracks. Pictured above is Fallowfield Stadium in Manchester, England. For an exhibition run at the 1952 Silverstone GP, Jose Meiffret (above) was paced by GP world champ, Geoff Duke aboard a Norton. Check out the massive chain ring on Jose’s bike. 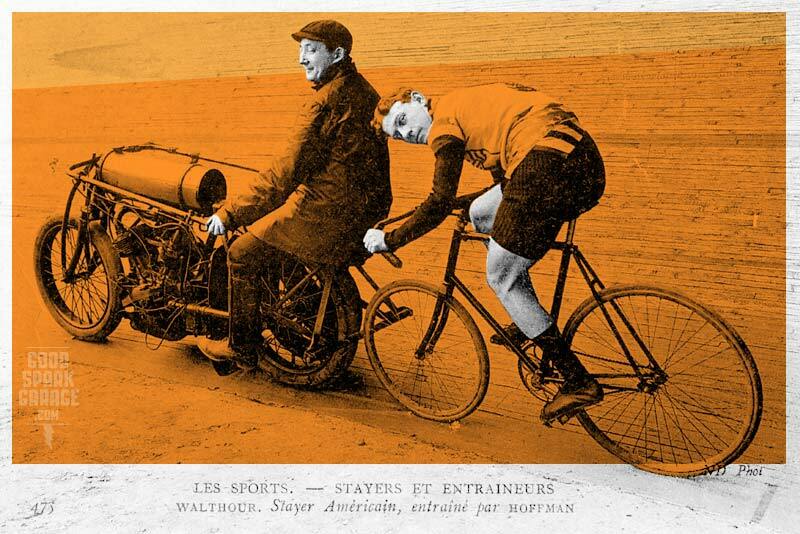 It didn’t take long for us to become enamored with the history of motor-paced cycling. Much like board track motorcycle racing, we’ve got another cool motorcycle genre to conjure up and daydream about on rainy days. 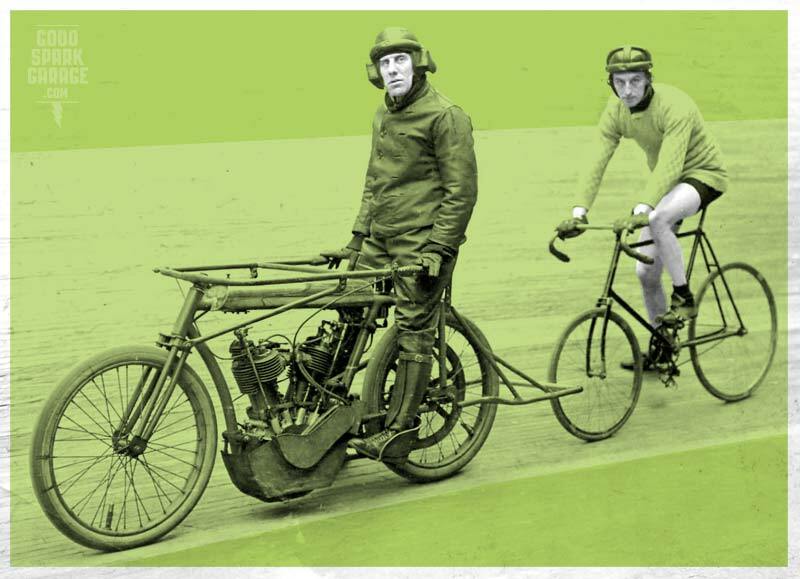 The vintage pics that we colored and schnazzed-up were originally found at the blog of bicycle historian and writer, Andrew Ritchie. 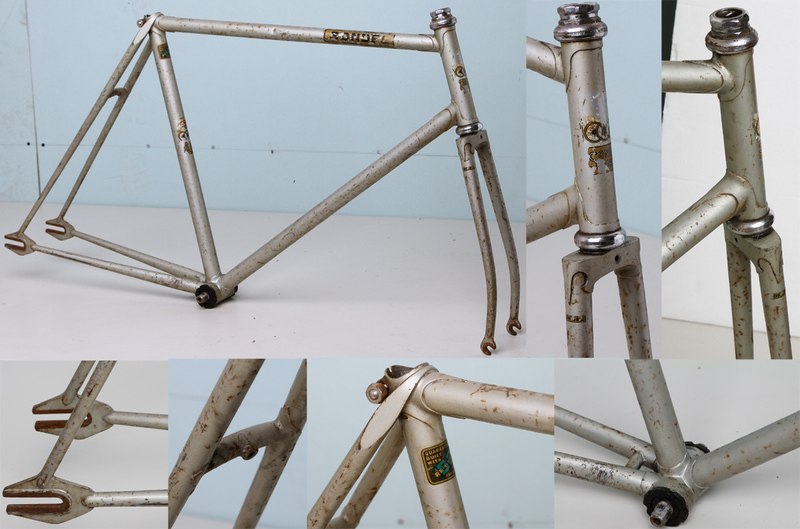 The side views of the pacing bikes were found at Yesterdays. 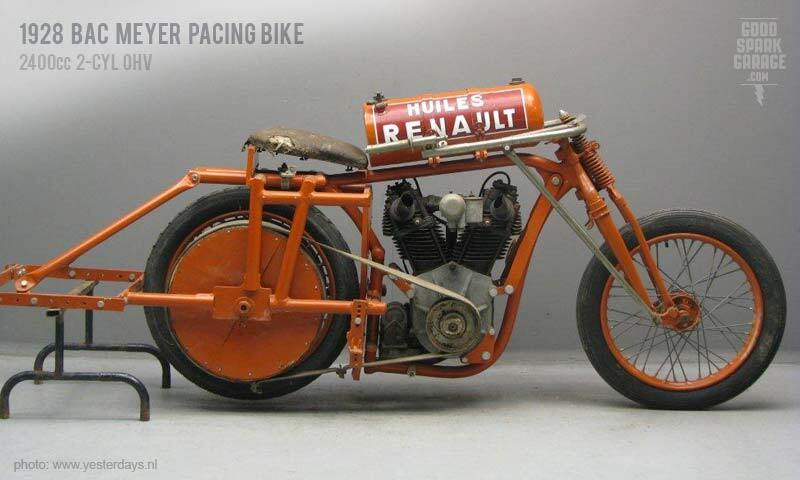 Didn’t they have a guy riding recently ( last 20 yrs)at Bonnieville acheiving incredible speeds in this style of riding?? Yep, according to Wikipedia, “Fred Rompelberg, using a dragster with a large shield as pacer, achieved 268.831 km/h (167.044 mph) on the Bonneville Salt Flats on 15 October 1995.” Which is hard to imagine really! Thank you for these great photos of stayer pacing motors. 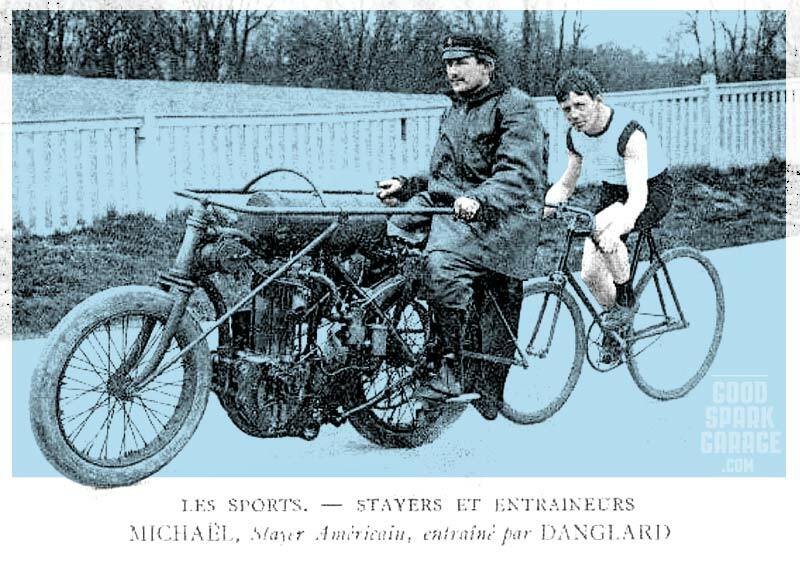 the last time I saw Anzani powered bikes used for stayer racing was at the Amsterdam Olympic stadium in a Pro/Am meeting in about 1973. Gaby Mineboo, Piet de Witt rode on the huge concrete banking with flames shooting out of the short open exhausts in the right side. I rode the amateur supporting events and even warmed up in a string behind Eddy Merckx who rode a 4k pursuit against Zoetmelk.he was very nervous after his French derny crash. 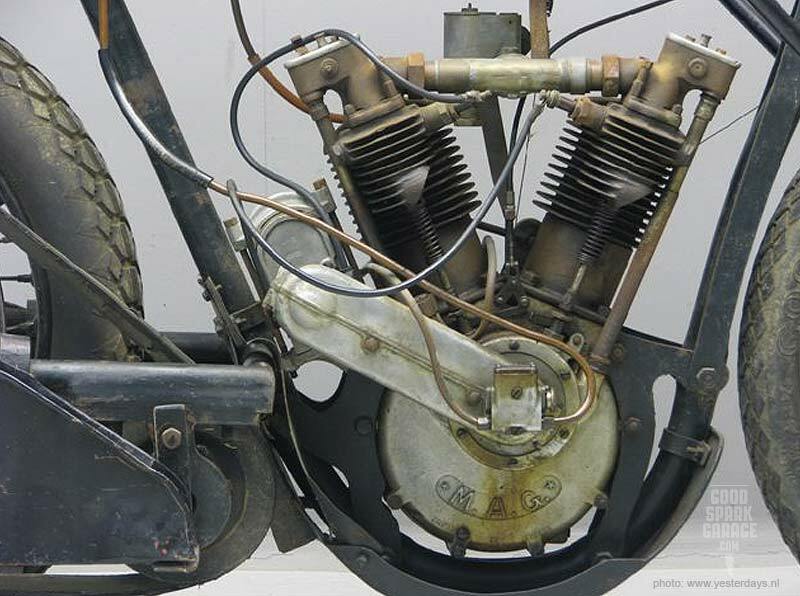 I am restoring a 1919 “Big X” !000cc Excelsior pace bike which was used in the 1920s-30s pace racing at the Motordrome, Melbourne, Australia. 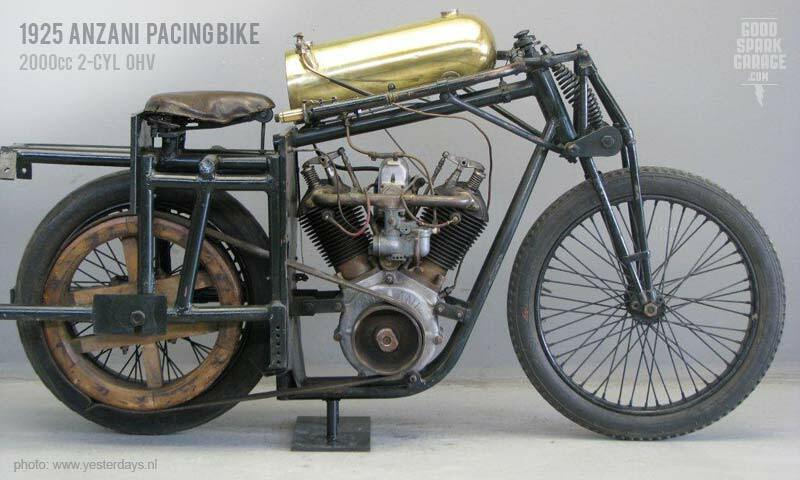 It was a 3 lap to the mile cement drome track and was the site for a number of speed and endurance records, including Hubert Opperman’s 1932 24 hour, paced, world record of 860 miles and the 1933 5 and 10 mile speed records of 71 MPH set by Fred Armfield. It was a very popular arena which lasted from 1924 to 1933. I am keen to hear from any-one who has information regarding this era of Australian track racing, especially at the Motordrome. Unbelievable these bikes with huge handlebars. The speed of cyclist would have to be awesome. As a child living in Amsterdam Holland in the 1930,s/40,s we lived not far from the Olumpic stadion where motorpace races were held frequently,I will never froget the thrill and the smells of the motors and bike going at great speeds flying around the track,I returned to Holland in 1979 to see the world championships at the track,my visit was relifed again,,,,shame that the track was torn down,but the sport continues on in other locations. I’m sure that WAS a thrill, Bob.